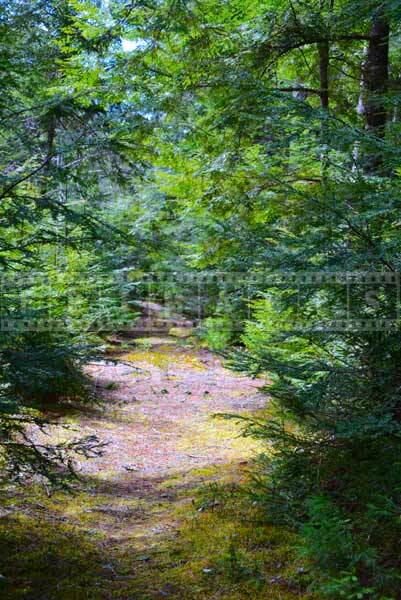 Nova Scotia hiking trail that leads to Millet Falls starts as a gravel road at first. 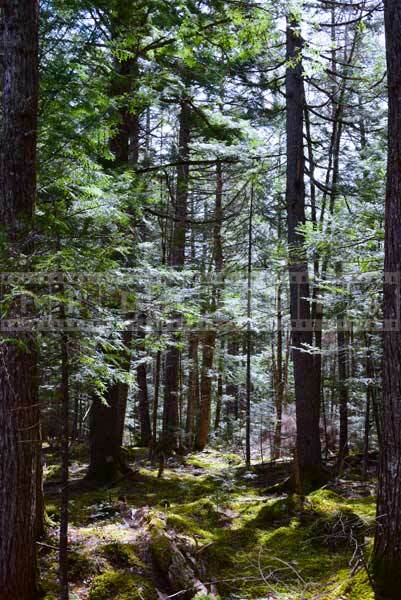 When you reach an open area with a large pine tree to the right of that tree hiking trail winds through the forest. 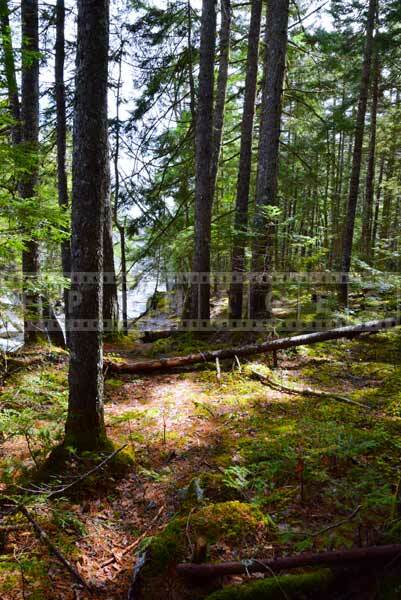 Relatively large forest road to the left of pine tree goes along the Mint River upstream, you can hike it later after you enjoyed Millet Falls and taken lots of waterfall nature pictures. 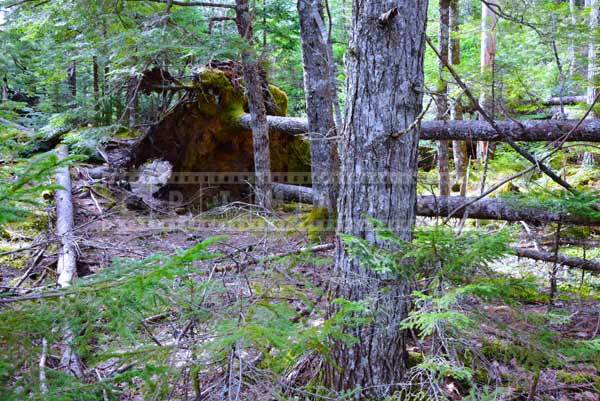 Nova Scotia forest is dense with lots of fallen trees especially after winter. It is a good idea to plan a trip and have appropriate waterproof footwear as well as a good bag for your camera. There could lots of moisture on the ground, dew or fog on the branches. 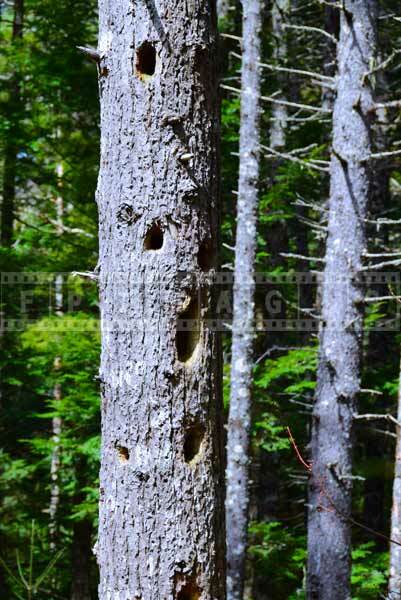 Before taking nature pictures examine the camera for dust or condensation. 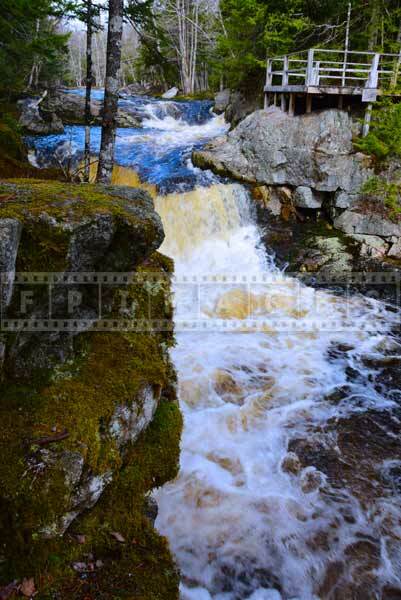 Be prepared for Nova Scotia hiking trails through the forest and you will take some great waterfall pictures. 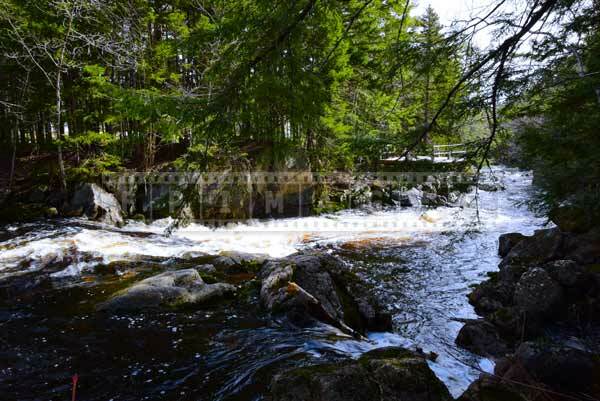 Late spring is the best time in Nova Scotia for exploring hiking trails with waterfalls and taking waterfall pictures, because the rivers are full and flowing well. 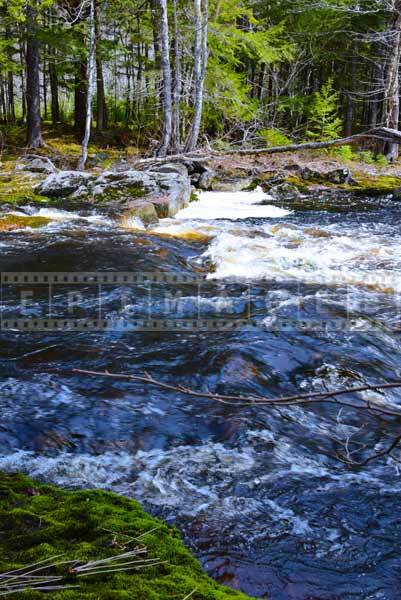 In the fall on the other hand many brooks and streams dry out and waterfalls turn into a slow trickle. 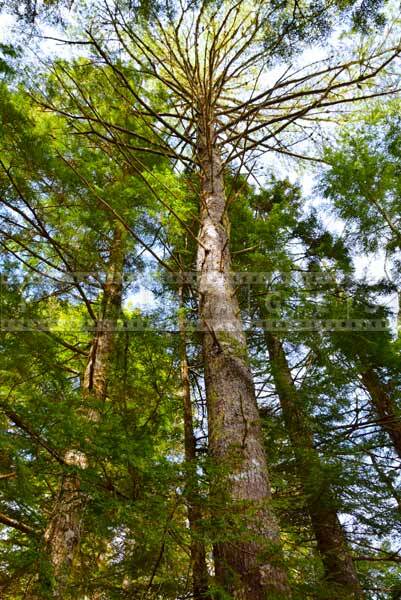 Before you reach Millet Falls you go through Nova Scotia Forest with many large pine trees. Look around and you may find really nice view and take a beautiful landscape pictures, or maybe detailed nature pictures. 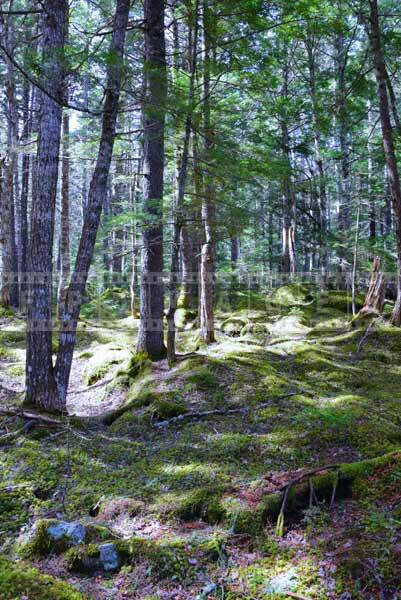 Light is very important in the forest, try to arrive at special time of day close to sunrise and sunset. Once you reach the waterfall, take your time and enjoy scenic landscape. 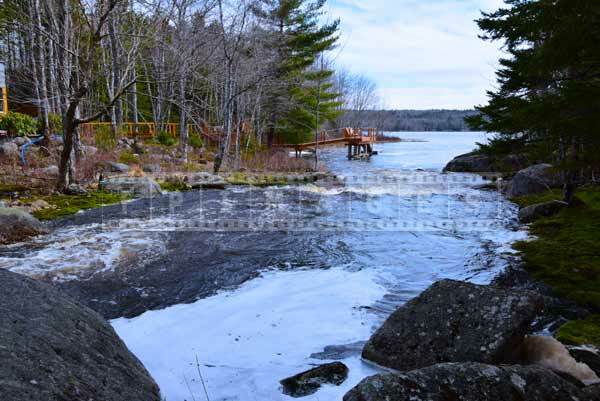 Hiking trail runs along the river, so walk along it and see the waterfall from different angles. This way you can find the best spots for taking waterfall pictures. When shooting nature pictures in the forest remember to check the frame for obtrusive branches and twigs when composing the image. 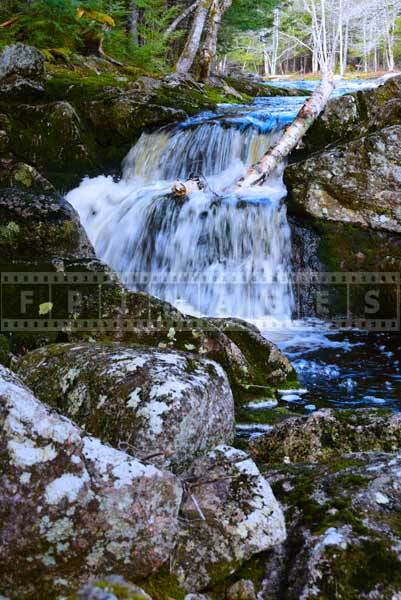 Pay attention to details, and frame your waterfall picture tightly to avoid unnecessary cropping later. Taking water images is always a delight for any photographer. 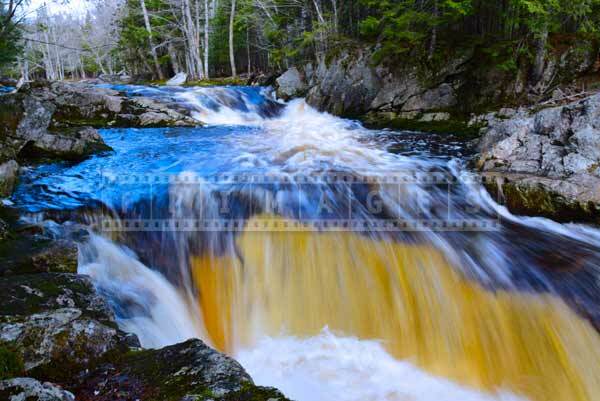 With waterfall pictures you can set the shutter speed to 1/20 to 1/30 of a second. 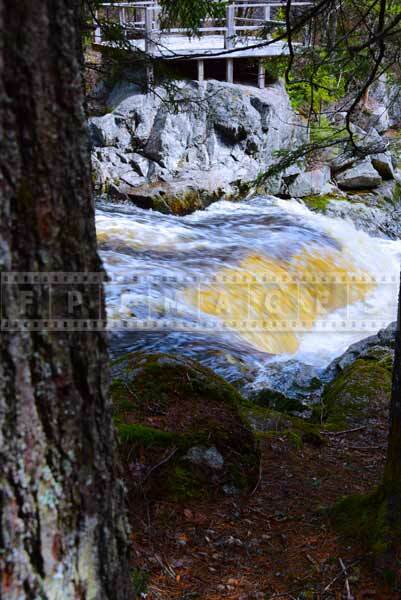 This will create an abstract art photo effect of a smooth waterfall. To capture a waterfall falling water with great detail of individual droplets, use fast shutter speed of above 1/250. This really depends on the speed of water falling. Plan a trip in advance, study your camera and learn its settings, this will make taking nature pictures or water images on location easy and efficient. 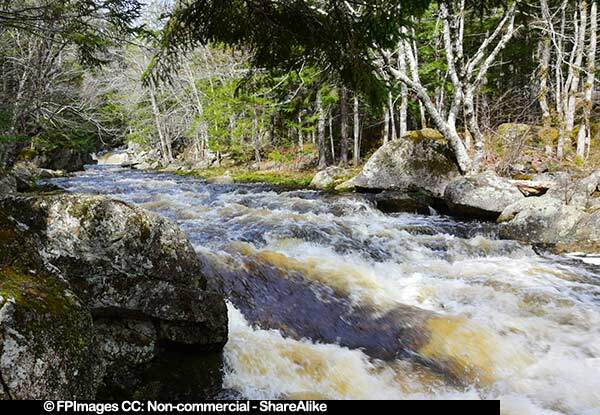 Explore Nova Scotia outdoor adventures, there are many beautiful hiking trails with waterfalls suitable for all levels and ages.